A few girlfriends and I have a monthly book club where we go to either Applebee’s for cheap cocktails (uhh $1.99 Long Islands anyone?) or Sunday brunch primarily as a way to get together monthly and secondarily to discuss the chosen book. 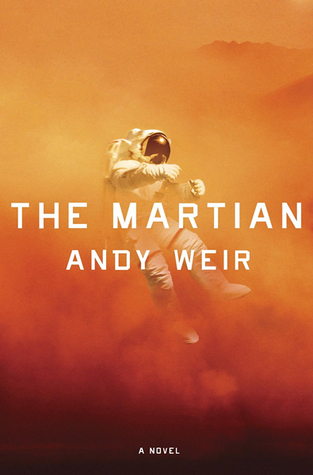 Last month’s pick was The Martian by Andy Weir and boy am I glad it was! SciFi isn’t a genre I generally gravitate (see what I did there?) to on my own but this one had me hooked the whole time! I’ve always been a fan of survival stories (I first read Hatchet in the fourth grade and it’s still one of my all-time faves) but I’ve never had the pleasure of reading one set in space. Some parts got extremely science-y and went pretty far over my head but you get to be inside Mark Watney’s mind the whole time and he makes everything hilarious. His will to live and his constant inventiveness have you rooting for him the entire way. Seriously, even if this seems like it might be out of your comfort zone, I highly recommend it! It was so good, you guys. SO GOOD. The husband and I went to see the movie adaptation opening weekend and besides the woman next to me causing my misophonia to kick into high gear with her open-mouthed popcorn gnawing, the movie was exceptional and I felt stayed incredibly faithful to the book. Matt Damon was wonderful and thinking back I could’ve totally pictured him as Mark while reading the book. I highly recommend this story in both mediums!